The list of musicians who have established successful, simultaneous careers as instrumentalists and vocalists is relatively brief, especially when including those who have retained commercial longevity without compromising artistic integrity. 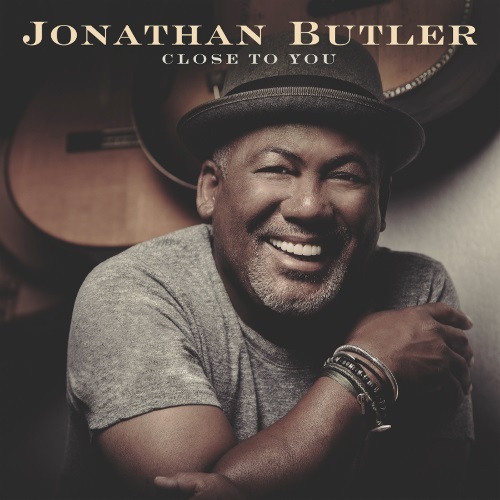 Jonathan Butler’s journey from child singing star in his native South Africa to sophisticated purveyor of guitar-driven smooth jazz and vocal slow-jam maestro in the US and the UK is a rarefied accomplishment stemming from the humblest of musical roots. Consequently, his far-ranging discography of more than a dozen albums over the last 30-some years has been interwoven with resounding messages and performances that have given him an edge over many of his contemporaries. Given his knack for fusing R&B, jazz, and gospel into inspiring original compositions and arrangements, the foundation of his new album, Close to You, is a marked creative departure. Bringing together ten Burt Bacharach/Hal David songs for contemporary jazz/soul reinterpretation, Butler aims to imprint each classic with his relaxed yet adventurous vocal stamp and colorful guitar prowess. While the end result overall sits nicely alongside the rest of his catalog, the merits of the individual treatments of these timeless tunes varies more frequently than one might expect. The opener, “Do You Know the Way to San Jose,” offers a bright but mellow start to Close to You, a primarily instrumental take flavored with subtle Latin percussion and festive horn punches punctuating Butler’s cheerful guitar strains. The equally upbeat rendition of “I’ll Never Fall in Love Again” continues the flow nicely, with his crisp vocal phrasing and confident tone providing a nice contrast to the lighthearted flair of the South African-tinged percussion and buoyant trumpet work. The conversion of the nuanced rhythms showcased in Dionne Warwick’s 1970 recording into a strict 4/4 structure here, however, stops it short of leaving a lasting impression—for, the quirkiness of the lyrics and playful melodies are never fully realized in this context. Similarly, Butler’s vocal performance walks an appealing line of laid back finesse and earnestness on “This Guy’s in Love with You,” but the prosaic programming backdrop does little to enhance it. The version is still memorable; but it’s missing a certain umphh to make it a standout. More affecting in arrangement is the understated take on “Alfie,” with fluid horn lines complementing his gentle delivery. The semi-title cut, Butler’s remake of “(They Long to Be) Close to You,” is, once again, vocally on point, but production-wise, merely serviceable. There’s nothing particularly fresh about the arrangement to distinguish it from a myriad of other renditions. Subsequently, he gives a warmly enchanting vibe to “The Look of Love,” backed by comforting string and backing vocal arrangements. Unfortunately, just as he starts to dig into some engaging ad-libbing alongside his cool guitar strums, the music fades out. After an enjoyable original ode to his roots, “Cape Town,” Butler delivers the second strongest entry of the album, a thoughtfully interpreted “What the World Needs Now Is Love.” Accompanied by his ingratiating acoustic guitar flow through the verses, he emits humility and passion for the song’s timeless credo, strengthened further by choir presence in the latter half of the song. Closing out the album, Butler offers a pared-down reading of “A House Is Not a Home,” highlighted by his distinctive vocal rubato and defined guitar rhythm methodology and complemented by the undertones of Dan Lutz’s upright bass. This no-frills approach is an efficacious showcase for Butler’s strengths, and perhaps might have worked more ideally in several of the less convincing moments of Close to You. All in all, despite a few production and structural weaknesses, Butler comes through with a satisfying collection of interpretations most worthy of his exploration. Recommended.